When I click view site button in joomla, it opens a new tab with a login form that I enter my super user info and is show the home page. But I want to visit the site as a guest to test user registration and profile. How can I delete the login page that appears when I click view site in joomla? I want it opens without that login form. There was an extension created to get around this drawback called "Offline". This creates a secret key that, when added to the URL, prevents the need to login. Alternate: If your server is running Apache, you can create a .htpasswd file in the root of your site and leave the site "online." 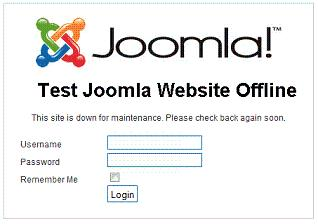 This will require you to enter a password before Joomla! ever loads.